The beleaguered Eurozone could lose up to €20bn as a result of data errors that will slow payments made using the Single European Payments Area (Sepa) electronic payments standard which is due to come into force in the Eurozone in 12 months. 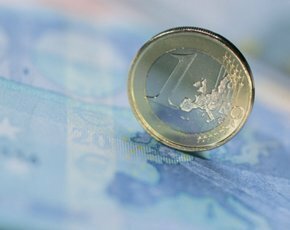 Organisations in the Eurozone must be compliant by February 2014, and non-Eurozone territories wishing to make and receive payments in euros must be compliant by October 2016. Research from Experian has revealed that despite time running out for organisations wishing to make euro transactions to be compliant with Sepa, only 2% of direct debit transfers and 30% of credit transfers have been migrated. Businesses need to make customer records Sepa-compliant using International Bank Account Numbers (Ibans) before migrating to Sepa. Experian research in October revealed a large number of errors in customer bank account data. It found that only 65% of euro transactions were underpinned by fully accurate destination account data. It also found that 45% of Sepa Ibans stored by large European businesses do not have the valid corresponding Bank Identifier Codes (BICs) required. The aim of Sepa is to streamline euro payments. In 2008, a European Commission study found that: "Potential benefits from Sepa in payments markets alone could exceed £91bn over the next six years, and a further £177bn if Sepa can be used as a platform for electronic invoicing." Although the UK does not use the euro, businesses with a presence in the Eurozone will need to change their processing systems if they want to make lower-cost Sepa transactions, and UK banks will need to upgrade systems to support it. Jonathan Williams, director of payment strategy at Experian, said migrating existing customer records to the Iban standard will be a huge challenge given the sheer number of accounts. He added that large businesses face notable challenges to migrate and maintain Sepa-compliant mandate information in time for the 2014 deadline. “Businesses must look to use, leverage and embed data validation within their systems and processes if they are not to incur significant costs as their operating countries move to Sepa, due to the error levels inherent in the data which the Sepa system is liable to expose,” he said. These errors will lead to payment failure when made through Sepa clearing, costing businesses approximately €50 for each failed transaction, according to Experian. “Given an established average error rate of around one in eight, an organisation transacting with 100,000 bank accounts would expect a potential cost of €600,000, which leaves a total bill for the Eurozone of more than €20bn. All businesses should work to comply now to avoid such unnecessary costs,” said Williams.